Ocean Way Apartment is Number 109 within the Summerhill Holiday Apartments complex comprising 58 holiday apartments in a prime location on The Golden Mile right in the heart of Bundoran Town close to restaurants, shops and leisure facilities. Summerhill Holiday Apartments (closes seasonally from end September-March) is a development of 58 two bedroom holiday apartments situated in a prime location on The Golden Mile right in the heart of Bundoran Town close to restaurants, shops and leisure Facilities. Ocean Way Apartment Bundoran is the perfect base from which to enjoy the splendors of County Donegal and indeed the entire North West Region of Ireland. 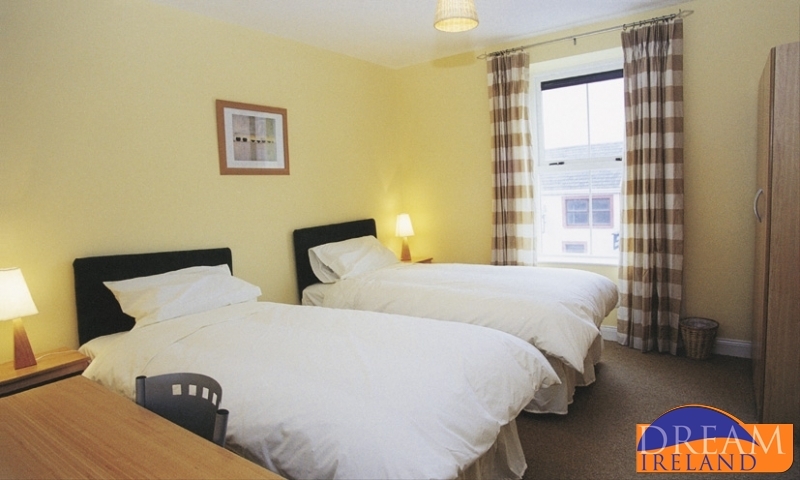 Ocean Way Apartment Bundoran comprises 2 bedrooms; one double room ensuite and one twin bedded room with separate bathroom. 1 rollaway guest bed can also be supplied for children meaning that each apartment can accommodate a family of 5 (maximum of 4 adults per apartment). An extra charge of €45.00 euro will apply for the use of the rollaway bed. Please note this is a family orientated location. The spacious lounge is tastefully furnished and contains T.V and a comfortable suite of furniture. The Kitchen is fully fitted and equipped with all modern conveniences such as electric cooker, fridge/freezer, dishwasher, washer/dryer and microwave. All necessary kitchen utensils and crockery are also provided. 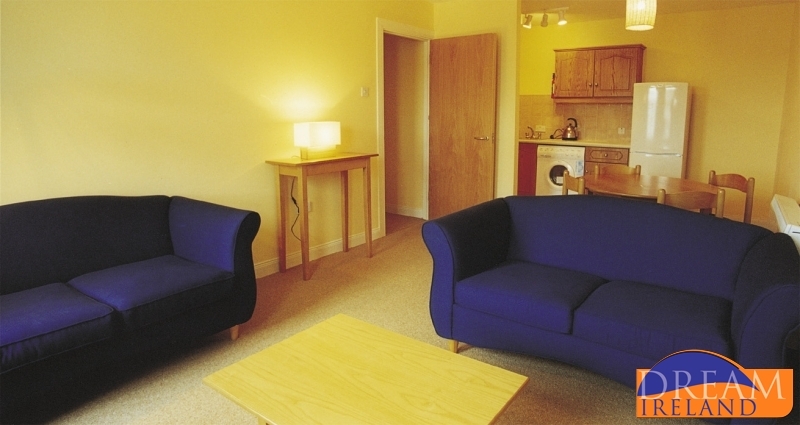 The Apartments are heated with electric storage heaters in each room. In addition, all bed linen is provided. Electricity is an extra charge, meter read and payable onsite at the apartment. Dizzy's Den currently has a large climbing frame where children from as young as four can let their imagination take hold from being a pirate finding buried treasure to being the monkey in a jungle. To top it off, there is a huge slide to bring you all the way back down, where the adventure starts all over again. For the younger one, there is a smaller area, where they too can climb and slide and play in a pool full of balls. All play areas are equipped to the highest standards to safety and have been approved by ROSPA (The Royal Society for the Prevention of Accidents) so parents / guardians can be sure that no matter what the adventure, their little heroes are safe. Teen surf camp is also available for young surfers. 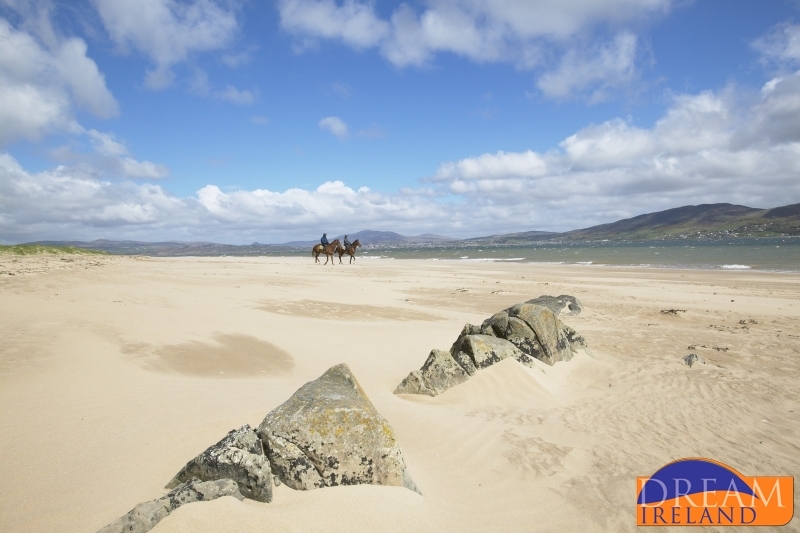 Adults are welcome to try a range of watersports and land activities. The centre provides and hires wetsuits, surfboards and body boards. They are open every day from 9.30am until dark. The centre is located on Bayview avenue, opposite GAA football pitch. Also ideal for childrens tours, birthday parties, adult leisure and team building breaks.